When I heard that Ted was retiring at the beginning of February, I was surprised but I understand that this is what he needs in his life. The happiness and excitement I hear in his voice as he speaks about his work on his brand new tea business, Gayle’s Teas, is reminiscent of his spirit when we first met. 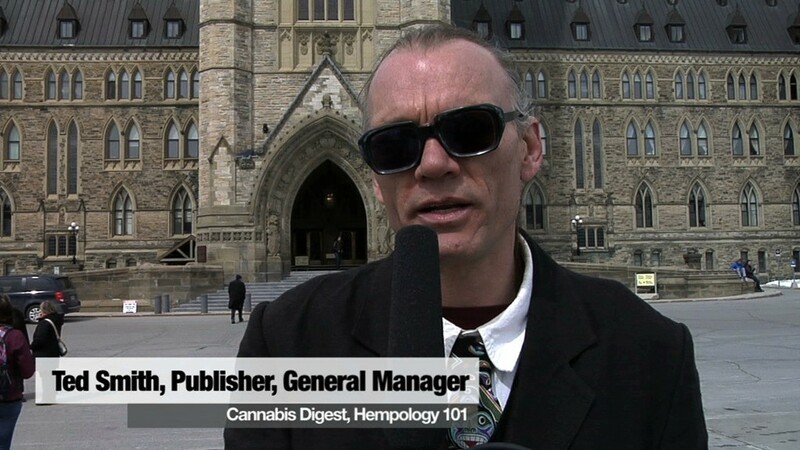 After spending many years working closely with Ted at the Victoria Cannabis Buyer’s Club, but also with the Cannabis Digest and Hempology, I was sad to think that all the hard work and love that countless individuals put in over the years would fall into disrepair. Ted may have been the heart of Hempology, but our volunteers are our arms, our eyes and our voice. I have served as both a writer and editor of Cannabis Digest in the past, and felt heart broken that so many people’s stories would lose an audience. 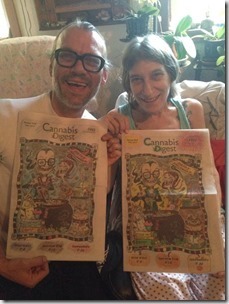 I am very excited to be taking over as the interim publisher of the Cannabis Digest. This is a big responsibility to take on, but luckily I have lots of amazing people to help. If you want to help please feel welcome. We are always looking for more writers and viewpoint to contribute to both the print articles and the website. Particularly, we would love to feature new writers from interior BC, the north, the prairies, and Quebec. Our board of directors meets monthly at the Green Ceiling in Victoria BC. 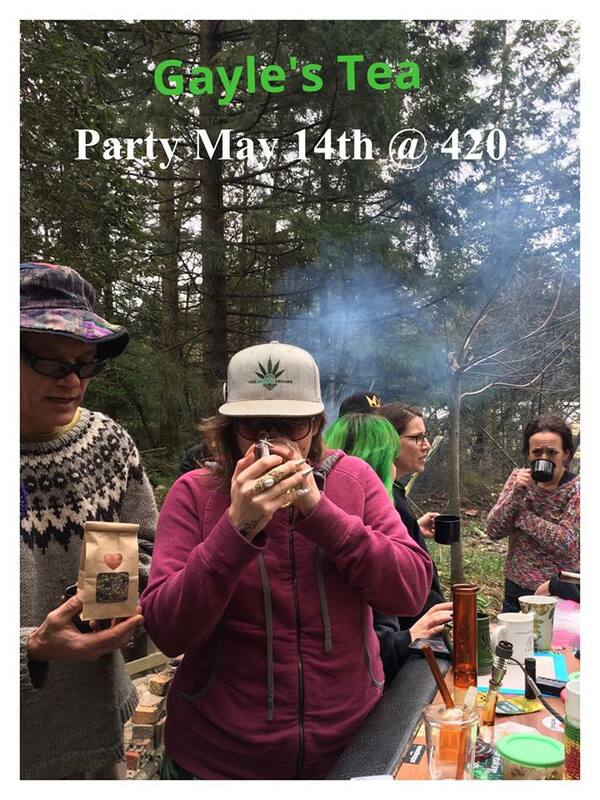 Check out www.hempology.ca to find the date and agenda for the next meeting. While I am aware that the world en masse is switching to digital news, I believe the print media will forever fill a void that a blog can not. While you are always welcome to check us out online at CannabisDigest.ca we hope to continue printing the paper for years to come. The permanency of print has yet to be replicated by digital media. I know there are options to look up internet archives but it seems unlike someone will unearth a clay pot a few thousand years from now with a USB drive in it. There is magic in uneditable words from the past speaking to you. Perhaps someday my children’s children will be going through old trunks of my things and discover my collection of Cannabis Digest. They will be able to read and understand how people like you and I helped to change cannabis law and policy in Canada so that the next generation (hopefully) could be free from these awful laws. Sometimes when I am reading articles on the internet I have to google what I am reading to make sure that I am not being fooled. Even then I could still be duped. While there are many reputable new agencies around the world, there are also those that are built on lies and half truths. I feel more confident in the journalistic standards being applied when I look at print media. I know that an editor and a publisher have gone through what I am about to read and fact checked it. I know that printing a retraction is less desirable than simply updating a website. Call me old fashioned but I have trust in what I read in print. One of the nicest things that I have encountered in the last few month is the people I speak with on a daily basis. Of course we could all be writing our own blog posts or making our own websites to tell our stories; but how would anyone find our stories? 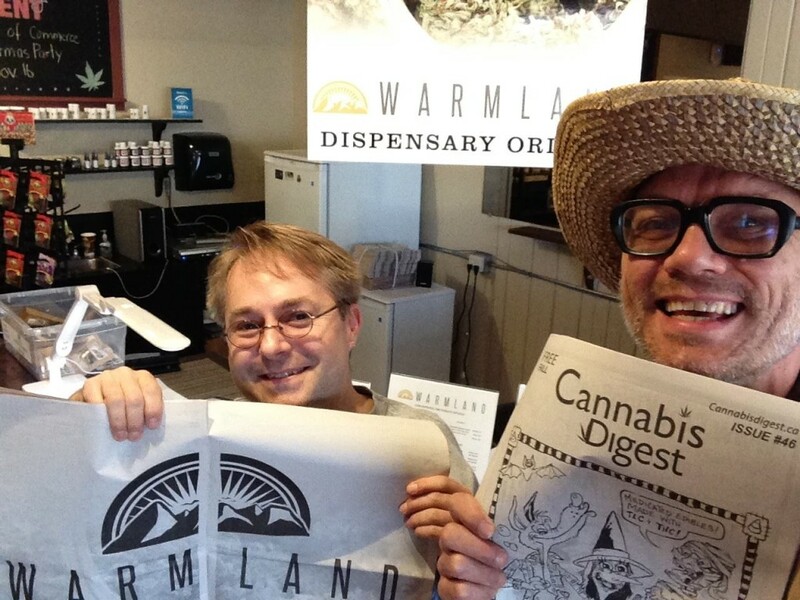 I for one love that I can turn to one place to find cannabis stories from across the country. I think that we are strongest when we stand together. We have the opportunity to offer and receive help, to learn, and to feel love and support from our community. We will always offer the information Cannabis Digest has for free so that everyone can access it. We have asked all the businesses and dispensaries and people that distribute the digest to help cover the costs of mailing and printing it. Please remember to thank your local provider for their commitment and contribution. Speaking of community, one of the greatest things about print media is how easy it is to share. I know there isn’t a like button, but with a newspaper you can physically hand it to someone else who would enjoy it. There are many small communities across this great country that would love to have access to a compendium of cannabis information. I encourage you to take a few copies of the newspaper. Give one to your old neighbour who wonders how to make cookies, or mail one to your friend in Manitoba that has never seen a cannabis storefront or teach your mom how to find our website. The more we all work together the more likely it is that legalization will take a sensible shape that works for everyone. As I dig deeper into the many roles that Ted filled with Cannabis Digest, I can see how overwhelming of a job he really had. On an average day I have answered emails, phone call and facebook messages while trying to organize with a team that all work remotely and network with other activists in the movement. I hope that the countless hours I have been putting into getting us organized will pay off in the end with an easier work stream for all of us and less confusion and delay when new people and organizations want to become involved.While I know that I have some very large shoes to fill I can express how grateful I am to Ted for his gentle guidance and patient answering of all my queries. Many of our long term advertisers, writers, and dispensary distributors have heard from me in the last few weeks. I am trying to reach out to all of the beautiful people that help to make this newspaper possible. There may be some big changes as we move forward but I hope that we can do a bit of pruning now so we can grow strongly into the future.